Milles Jupp has contributed to many BBC Radio 4 shows such as The Vote Now Show and Loose Ends. 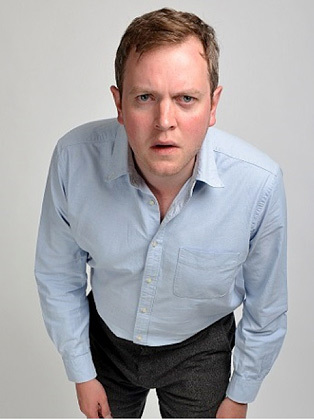 As well as creating Miles Jupp’s Real World, he presented It’s Not What You Know and can now be regularly heard on Radio 4 as host of The News Quiz. Miles also wrote and starred in In and Out of the Kitchen on Radio 4, of which there have been four series so far and became a television show on BBC4. Miles returned to stand-up in 2007 with a new show Every Day Rage and Dinner Party Chit Chat and continued to write and perform in the Edinburgh Fringe until 2010 when he presented the critically acclaimed Fibber in the Heat about his experiences blagging his way into the press corps during an England cricket tour of India. The show toured in 2011 and 2012 culminating in a sell out performance in London’s West End. The book of Fibber In The Heat was shortlisted for the William Hill Sports Book Of The Year. In 2014 he embarked on another UK stand up tour and West End run with Miles Jupp Is The Chap You’re Thinking Of and 2016 and 2017 performed Songs Of Freedom, the tour of which culminated with a performance at The London Palladium. As an actor on television he has appeared in the award-winning BBC2 sitcom Rev, The Thick Of It, Outnumbered and Gary: Tank Commander as well as the popular children’s TV show, Balamory. More recently he has appeared in The Crown on Netflix, Howards End for the BBC, and The Durrells and Bad Move for ITV. In 2012, Miles made his National Theatre debut in Alan Bennett’s People and in 2015 went on to perform in the theatre's critically acclaimed production of Rules for Living alongside Stephen Mangan. He has also appeared in The Way Of The World at Northampton Royal Theatre, A Death In The Death Of Joe Egg at the Glasgow Citizens and Neville’s Island in the West End. Miles’ film credits have gone from strength to strength, appearing in international features such as George Clooney’s The Monuments Men, Michael Winterbottom’s The Look Of Love, Nigel Cole’s Made In Dagenham and Jon Stewart’s Rosewater. Recent appearances include Saul Dibb’s Journey’s End and Bharat Nalluri’s The Man Who Invented Christmas, in which he played William Makepeace Thackeray.